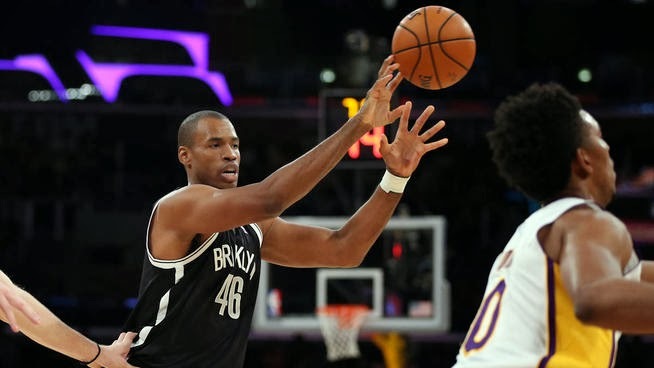 Yesterday, nearly a year after he announced publicly that he was gay, Jason Collins finally got the chance to actually play in the NBA - the first man to do so in any of the four major American pro sports leagues. We applauded Collins when he made the announcement, and hoped it would bode well for others in his own and other leagues. When Michael Sam, college defensive lineman and SEC Defensive Player of the Year, made his own announcement two weeks ago, the hard choice to do so may have been softened by Collins being first. These aren't the first pro players to come out at some point, but most predecessors did do after leaving their sport, not when a current player. Their choices were also brave since the timing would affect their livelihoods not being under current contract. Collins bravely made the announcement when he was without contract, just as Sam bravely came out before he was even drafted - a times when it could affect their future financial well-being as owners and GMs would have to decide if they would be a Distraction in the locker room not worth their talent. It took almost a year for someone to take the chance on Collins, though to be fair it likely wasn't his sexual orientation that kept him out of a lineup. He is 35 years old and has played for 12 years which is getting up there for someone who plays at his position and he was signed at the time when many teams are taking a chance on a player that may help their push to and through the post season. It is interesting to note that Collins went to the Brooklyn Nets, a team he played for before including alongside his new coach Jason Kidd. It could have gone either way having known and played with and for other people, but ti seems that knowing Jason Collins as a person, not as a gay person, previously ended up being a positive to the Nets and that is a good thing. It means they trust that they know him and that it won't make any difference. It is also interesting that this happens under the watch of Adam Silver a brand new NBA commissioner, having just started the beginning of the month. What does this mean for Sam? Collins hopes that he will help turn the tide and turn the focus away from who they are and to what they do on the court or field. "I hope so. What Michael said was it was about him being a football player and me being a basketball player, and going out there and trying to help our respective teams win," Collins said. matter who Michael Sam loves? Whether it is a ploy to cover up their true opinions, players and teams have tossed around the word Distraction, saying that it would be the media coverage of him and the disruption to the locker room, and now who he is, that could be a detriment to their team and a negative to drafting him, as if his presence alone would wreak havoc as some of the headcases we have seen in the past. An advantage Sam has going for him is that this is not new to him or teammates. 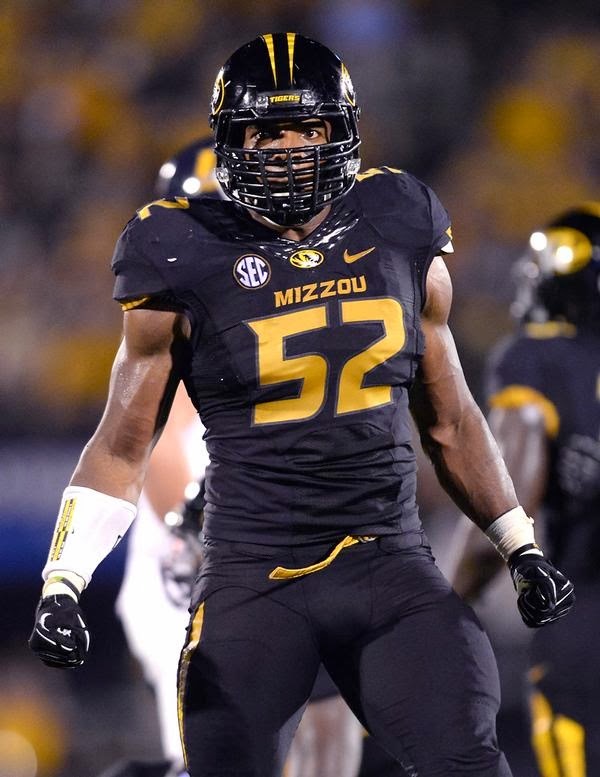 He came out to his college Missouri Tigers (Mizzou) teammates in college and the fact it wasn't a distraction there may help owners, GMs, and coaches of NFL teams get past the big D word and see that he can fit in and be a good addition to their team. When he told his teammates, it seemed like a non-issue, in fact many suspected. "Just to see their reaction was awesome. ...their reaction was like, 'Michael Sam finally told us. They supported me from Day One. I couldn't have better teammates. ... I'm telling you what: I wouldn't have the strength to do this today if I didn't know how much support they'd given me this past semester." Sam said. Sam will undergo his workout a the NFL Combine soon, and with that he hopes to turn the attention from who he is to what he can do on the field. Whether he will be accepted in the locker room if/when drafted is another story, but from the looks of things, from the words of players and coaches, it will be a non-issue - likely far less than what the media and public will make of it. In fact many people in the NFL have said they think or know of locker rooms that have openly gay, or at least highly suspected, players and it doesn't matter now and won't in the future. In a Sports Illustrated article Falcons General Manager Thomas Dimitroff said "I think it's widely known that every locker room has a number of gay individuals... I really believe the NFL is quite evolved. It continues to be very progressive and out on the front end of the curve in many ways, as far as sport and as far as approaches.'' In other reports players and coaches have said they have had players that were open to the team if not publicly. It makes sense, while we have seen stories where players abuse each other (like the Miami Dolphins story) they are also teammates and they protect each other and the team so it could very well be that players have known a teammate was gay and respected the player's, and with them their very team's, integrity and privacy. What Collins and Sam are doing is brave and pioneering, let's hope their leagues and the teams and players see it as an opportunity to show us they deserve to be on the pedestals they and we put them on, and accept these men as the players and contributors they are.